With the Summer being in full swing finally, although the past few days the sun has hardly been seen - thanks England, I thought it was time to update my summer wishlist and include a couple of times which I think are perfect for all of the festivals happening this summer. I have found some great items , from fashion to shoes to accessories I have a bit of everything today! 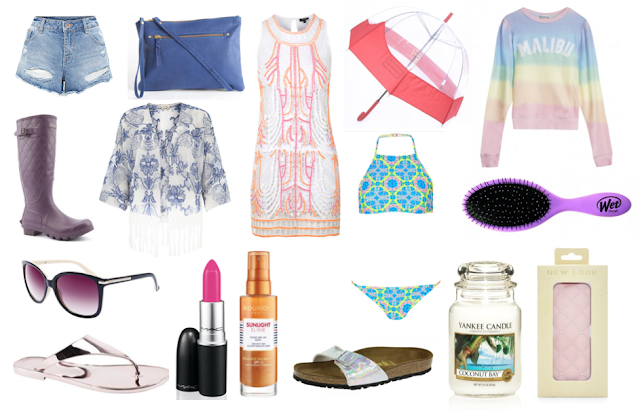 In the summer I find myself wearing a lot more patterns and prints and bright colours which really shows what I am attracted to in this wishlist.